I love all kinds of music and I love to hear about musicians doing it for themselves. So when a friend asked me to help them put the word out about their upcoming show, I was all in. 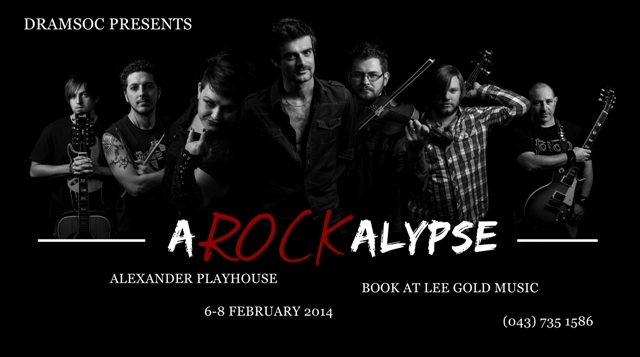 aROCKalypse (Which is a play on the word Apocalypse and Rock) is a show that pays tribute to the rock legends of the late 60's to the early 80's. My personal favourites in their show were Sweet Home Alabama and to hear the crowd join in when they start singing Sugar Man. It was totally worth it. This Rock Show was sold out last year and is already shaping up to be bigger and better this time around. So if you live in or are around the East London area this upcoming weekend don't miss out. Pre-purchase your tickets at Lee Gold Music or purchase on the day at the door. For more details check out my dedicated page to their show by clicking here.